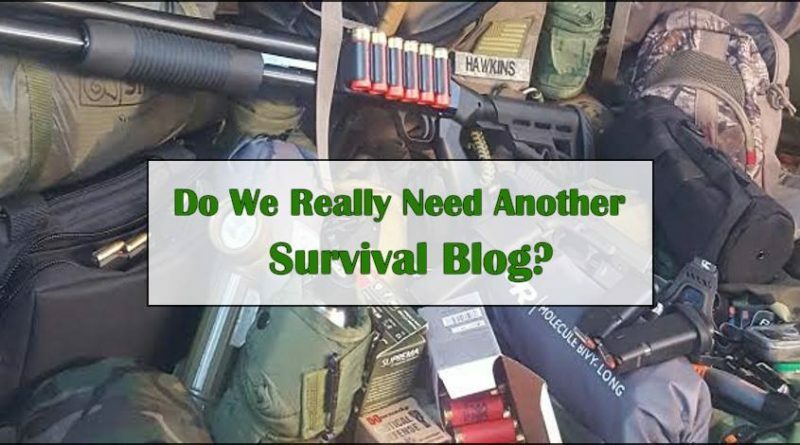 Do we really need another survival blog? I’ve been playing around with outdoor survival long before I heard of an internet and had no idea what to call it. Survivalist? What was that? Prepping? Never heard of it. I’m a man of many different interests and the outdoor survival and hiking side of me came and went like waves of curiosity over a 30 year period. Over the last couple of years, I’ve gotten more serious about survival and prepping, and the internet helped me take both to new levels I hadn’t experienced in the past. As a side note, I don’t want it to sound like I’m an old man that just discovered the interwebs. Trust me, I’ve been here almost since the beginning, even earning a modest online income for over a decade. Nuff said. You can find anything you wanted to know about survival and be prepping online, usually without spending a dime. Youtube alone can keep you busy almost indefinitely. There’s so much online about survival, gear, prepping, techniques, principles, shooting, and on and on, that the terms “information firehose” and information overload quickly become very clear while what you’re actually searching for becomes too much to handle. I know, I’ve been dealing with that same firehose for a long time. You just want to know what to do next, right? What’s the next step? How do I become more proficient in survival? That’s why this blog came to be. You don’t have to be a rich prepper the neighbors fear and the reality TV shows seek out, in order to prepare you and your family for whatever the future may hold. You can decide what level and how far to take things without spending hundreds of hours and thousands of dollars doing what everyone else is saying you should do. Let’s following the path you create, based on your goals and resources, and do what is right for you and your family. The goal of Next Step Survival is to help you create an outline that you can follow that will map out what steps are next to get where you want to be when it comes to survival skills, gear, experience, and growth.